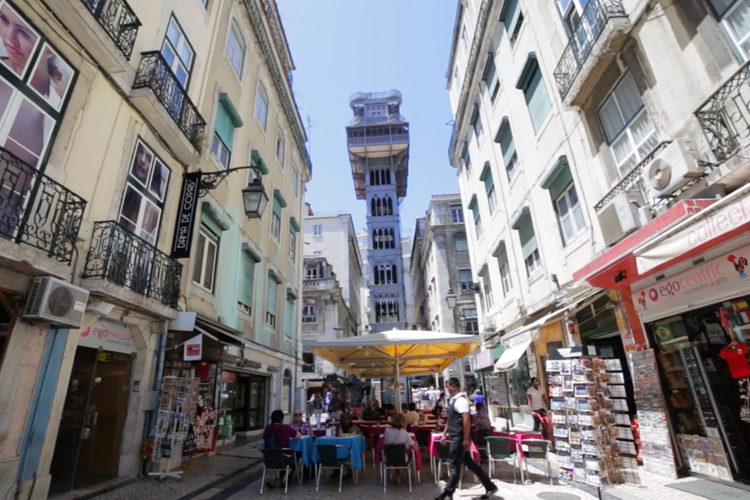 Whilst out in Lisbon producing our last Conference, we decided to fly out our very own talented ‘Reg the Cameraman’ to capture the heart of the city and to film a short review with Nik Moore on why Nik recommends this city as the perfect conference destination. Lisbon has it all. Architecture, culture, great hotels, plenty to do and, of course, an abundance of sunshine. In fact it’s sunny 70% of the year according to our local Audio Visual Supplier. Lisbon is a busy European City for sure, but you don’t get bustled and knocked about in the main tourist areas like you would in London, Paris or Rome; and we loved that. We also loved the fact that we didn’t get stuck in a single traffic jam out there. Of course rush hour is to be avoided but during the day the city flows beautifully. An important thing to remember if you need to bus delegates around and in and out of the city. It’s a beautiful city. Lots of parks to enjoy and to kick-back in but, when among the buildings, you will see that the architecture is stunning. A must-see is the bridge down by the docks, reminiscent of the Golden Gate Bridge in San Francisco. There are also plenty of impressive monuments and museums to visit and the crazy-looking viewing tower tucked away down a side street, which looks as if it is the baby of the Eiffel Tower, should be visited as well. There are bars and restaurants everywhere but we loved the fact that everything is relatively compact so the chance of losing delegates is so much less than if you were is a more sprawling city such as New York or Bangkok. And, as for delegate activities, it’s the same as everywhere else in Europe. You’ll find open-top buses, Segway tours and you can even hire a fleet of tuk-tuks from reputable suppliers via our AV company. We’ve personally worked in two hotels in Lisbon over the years that we know would cater perfectly for a conference; the Sana Lisboa and the Dom Pedro. Both are modern, clean, spacious and can cater for large groups. Having spoken to our local contacts however there are plenty of conference hotels and if you are looking for a 5-star venue, you should look at the Myriad by Sana which, by all accounts is stunning. With regards the Sana Lisboa in particular, we were incredibly impressed with this hotel and you can find a more detailed review on the venue in our video blog above. For us, perhaps the most surprising thing of all was the cost of everything. Whilst it has to be said that the Euro against the pound is weak at the time of writing, regardless of this, prices just aren’t what you’d expect from a such a cosmopolitan city. To give you an example, we took the crew out to an extremely nice restaurant, including wine and beer with the meal, starters and desserts, for a tiny £30 per head. Try spending just that in London, Rome or Paris! So, if you’re looking for some inspiration on where to have your next conference abroad, you should seriously consider Lisbon. It gets our seal of approval. If you’d like more information on the City, please don’t hesitate to contact us and we can run you through the various conference options. This entry was posted in Conference, Live Events, Venues, Video Blog. Bookmark the permalink.